Disruptive innovation in real estate enables buy, rent or selling by-owner. Today’s digital generation, quick to adopt disruptive innovation in real estate, are ready for private buying and selling by-owner. But is the real estate industry ready for free? Agents generate approximately $80B U.S. in commissions annually and drive the real estate industry’s economy. A shift to free, selling by-owner and on-demand real estate, from disruptive real estate startups and third-generation innovators, is the biggest threat to the hit the industry yet. Internet real estate entrepreneur Brad Inman insightfully foretells the disruptive powers of third generation real estate innovators on the establishment. Brad speaks about today’s round of disruptive real estate startups, as the tipping point to the power and influence of key industry players. People enabled tech – buyers and sellers taking matters into their own hands. Historically, private real estate by-owner services were of little consequence, with only 10-13% of homes bought and sold privately in the U.S. Yet, this low market share represents an opportunity to innovate, providing a better more satisfying way to sell privately, by-owner. With record low inventory of houses for sale, prospective buyers suffer from few housing options within their sought-after neighborhoods. As the solution, people are taking matters into their own hands, using disruptive real estate startup technology, hoping to talk to homeowners privately before listing on the open market. Private real estate is hot and third generation innovators are jumping in. 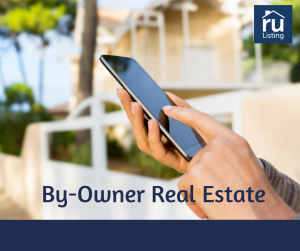 Disruptive real estate startup, RuListing.com for example, usage is soaring across the U.S, Australia and Canada. 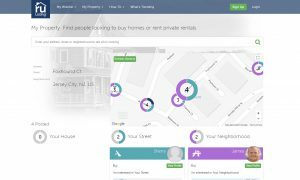 Homeowners are able to send private messages to buyers interested in their neighborhood – all for free. Disruptor Daily, Joseph Maurice identifies 9 new disruptors set for 2018. 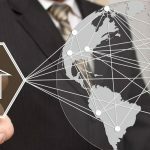 Disruptive real estate startups pose a threat to the $9B that agents and brokers spend annually in the U.S. in online real estate advertising. With open access to contact buyers and renters for free, advertising is no longer a necessity. People to people by-owner technology, disrupting the disruptors. Gary Keller, Founder of Keller Williams, and Brad Inman had a lively discussion on whether third generation tech will enable agents or disrupt the online ad industry that is enabled by agents. Brad Inman reported, The lion roared: my talk with Gary Keller. Further, Inman reporter Teke Wiggin questions if digital will be the new middlemen within the traditional real estate agent’s sales model. This makes the real estate industry and second generation disruptors nervous as the foundation of their monetization comes from agents spending future commissions on advertising. Zillow depends on the 1.9M agents across the U.S., spending approximately $5000/month. Established players are scrambling to adapt by investing big dollars behind original content and paid ads to keep disruptive real estate startups and third generation innovators out. Continued IP development and token support of private by-owner real estate services have been the online advertising industry’s solution to maintain site traffic. Britt Chester reports on the latest updates coming to Zillow Premier Agent in 2018 to add value and keep agents advertising. And Redfin’s post, “How to sell your home without an agent FSBO” is a clear indication of the struggles behind supporting ‘for sale-by-owner’ private real estate, without cannibalizing their existing ad revenue base. Can disruptive innovation in real estate like selling by-owner, enable agents? With homeowners contacting buyers and renters on their own, agents have relief from the burdensome marketing expense to attract new leads – savings that can be passed along to homeowners in the commission fees charged to sell a home. What an agent’s role and fee structure will be, without the advertising and marketing expense, remains to be determined. Simon Baker, Chairman Mitula and Founder of Property Portal Watch writes in Chasing Secondary Transactions, about encouraging the real estate industry to venture into alternative monetization platforms beyond the primary transaction and the saturated advertising model. Agents looking to expand their role, as a full-service home provider, into financial and insurance services, for example, could prove to be highly lucrative for agents in the future. Disruptive real estate startup technology is taking 2018 by storm. Buying and Selling by-owner. Yet, investment in go-to-market and building critical mass, in this highly competitive industry, is expensive. Third generation innovators, who vastly improve the home buying and selling experience, can build a digital footprint organically and will have the upper hand. Brokerages willing to explore beyond their traditional business model, leveraging disruptive tech to their advantage, will drive new monetization opportunities and lead the industry forward.